Situated right on Decatur Square, Boutique Karma is a women’s specialty store stocking bohemian-influenced clothing, handmade jewelry, and colorful wraps and scarves. Boost your wardrobe this winter with a touch of exotic flair in a wide variety of styles from global to minimal. 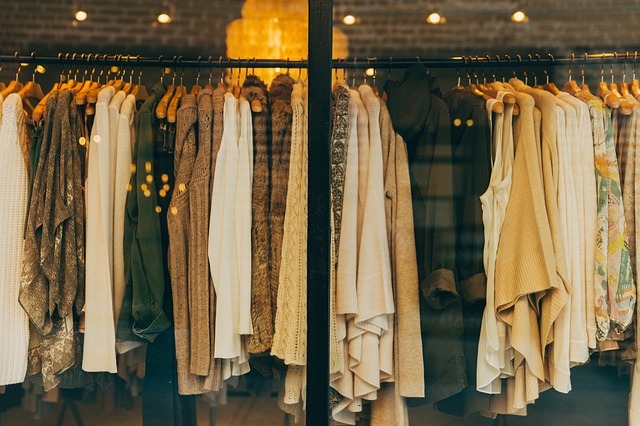 Shop tunics, tops, dresses, and jackets in a large selection of specialty clothing fabrics, such as linen, silk, rayon, and cotton. Build layers of color and texture with some of their handcrafted jewelry options like their intricately carved bracelet cuffs, turquoise earrings, and long pewter necklaces. If you're still doing some holiday shopping, let Jay and Raj pick out items for you. They know their styles, silhouettes, and fabrics and will help you navigate the bountiful racks. Also, stop by on Terrific Thursdays for 25% off all accessories. Boutique Karma is open Monday through Saturday 10:30 a.m. to 7:30 p.m. and Sunday 12:30 p.m. to 6 p.m.